The central tragedy of human existence is that our lives on the earthly plane are finite. Saint or sinner, the time must come when each of us departs this mortal coil. But whether or not you believe in an afterlife, there is a higher power that dictates how one small slice of your legacy lives on – that power is Facebook. As is the case with your other important assets and heirlooms, it now appears to be a key responsibility of your social media persona to arrange for a successor for your Facebook page. Even if you have a legal executor for your “real world” estate, Facebook has recently determined that our state laws don’t apply to them and that you will need to name a manager to administer your page after your passing. This Facebook as decreed. 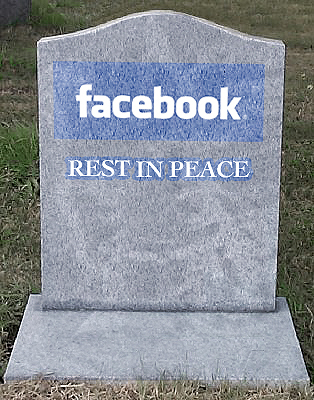 Previous to this policy change, Facebook simply “memorialized” the pages of people who died when advised of their death. The deceased’s profile would be identified with a “Remembering” status, which allowed friends and visitors to share memories on the Timeline. While family members could request that a page be taken down – a challenging process to be sure – they were not permitted to make any changes to the page.